This immaculate standout home in Pipers Landing Golf and Tennis community offers exquisite updates without a detail left to spare. Fresh off a major renovation with top-of-the line in everything offers a robust feel of elegance. 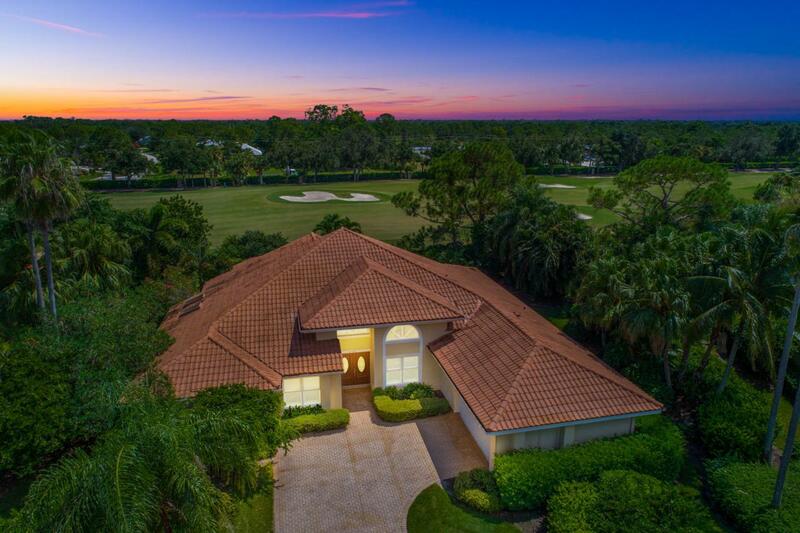 Sited along the golf course with lush tropical foliage offering plenty of backyard privacy. In addition to superior quality and finishes you will fall in love with the impressive flow with plenty room to entertain. This 3BR, 2.5BA home is designed with modern interiors, warm tones, custom cabinets, granite counter tops throughout, impressive flooring, hurricane impact windows, pool, spa, screened in patio and more. The seller has spared no expense at making this a high-quality home that is turn-key ready.There is a one time mandatory (refundable) equity membership of $65,000 plus a one time capital contribution (non-refundable) of $10,000. Pipers Landing is an exclusive golf and tennis community with marina, clubhouse, amazing fitness center and more. Listing provided courtesy of One Sotheby's Intl. Realty.